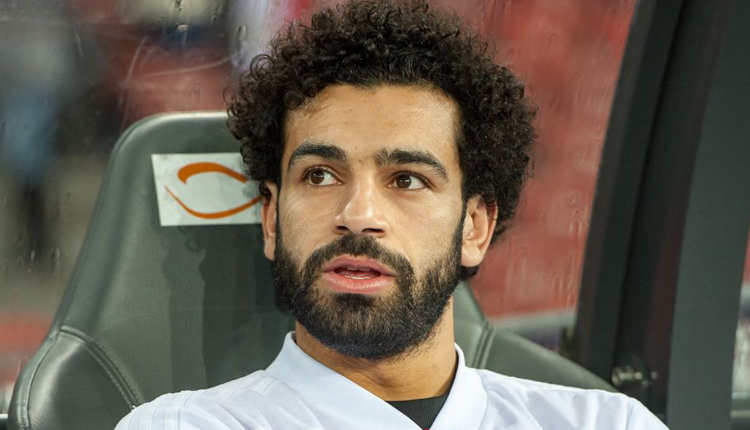 Mohamed Salah scored a wonder goal to help Egypt ease to a 4-1 win on Friday over eSwatini in the 2019 Africa Cup of Nations qualifiers. The Liverpool winger converted a corner kick, lofting a curling cross over keeper Sandanzwe and into the back of the net to score the Pharaohs’ fourth goal just before the break. However, Salah leaves the whole country in scare after limping out with a muscle injury. Skipper Ahmed Elmohamady, PAOK forward Amr Warda and Kasimpasa winger Mahmoud Hassan Trezeguet were all on target during a brilliant first half, while Sibonginkhosi Gamedze pulled one back for the visitors. Coach Javier Aguirre made a few changes to his side that played Niger last month. Amro Tarek was fielded instead of suspended defender Ahmed Hegazi and forward Amr Warda replaced central midfielder Tarek Hamed, switching his 4-3-3 formation to a 4-2-3-1 scheme. Egypt pressed their opponents from the beginning and Elmohamady broke the deadlock as early as the 7th minute when he met Mohsen’s flickering header at the far post to score his first international goal since 2010. Elmohamady turned from scorer to provider when he set up Warda inside the box to fire the second inside the first 10 minutes. The hosts were by far dominant,enjoying 85% of possession throughout the first half. At the hour mark, Trezeguet made amends after squandering a host of chances against Niger, running onto a defence-splitting through by Mohamed Elneny to shoot at the far post and net the third. But it was Salah who stole the show upon scoring Egypt’s fourth goal, his 38th international goal in 61 games. Coming after the interval, Aguirre’s men eased off a bit, allowing eSwatini to create some rare chances including a shot from Sibonginkhosi Gamedze that was easily saved by keeper El-Shennawi. But quickly Egypt restored their dominance and Salah came close to scoring on a couple of occasions, including an easy chance from inside the box. Aguirre made several changes to refuel his side as Ahmed “Kouka” Hassan, Ali Gabr, and Tarek Hamed came in but they didn’t make any impact. The visitors scored a consolation goal in the 88th when Gamedze saw goalie El-Shennawi advancing to send a long-rage shot from the halfway line. Egypt will play eSwatini on Tuesday in the return leg.